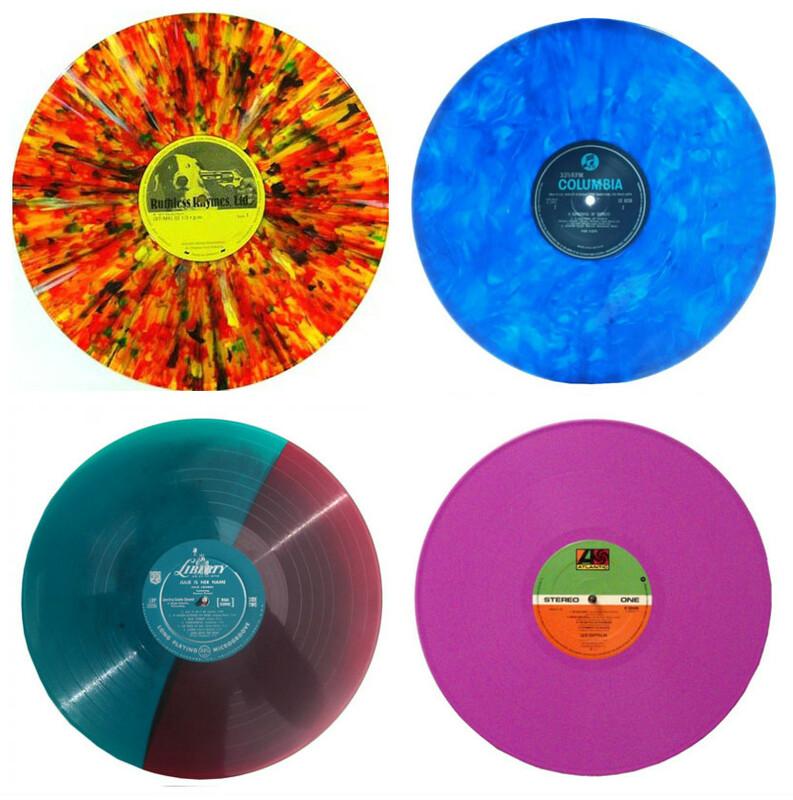 While the primary purpose of vinyl is audio bliss for the ears, any human with a beating heart cannot deny the draw of luscious colored vinyl for the eyes. The visual beauty of vinyl is just as important to the complete listening experience. From the moment you open the cellophane to the instant the stylus hits the groove we feast our eyes on the stunning glossy vinyl. Klipsch has come out with a pretty nifty solution for the average american music lover who wants convenience and simplicity. Bridging the gap between digital and vinyl they have put it all in one convenient box called The Music Crate. It combines the award-winning sonic sound signature of the Reference R-15PM powered monitor speakers and a state-of-the-art Pro-Ject Audio Klireftt turntable. The Music Crate™ provides a powerful acoustic experience to listeners looking for a simplified vinyl experience, with no external amplifiers required. Simple to set up in minutes, the kit easily combines with a television, computer or any wireless device, all accessed by a remote to control source selection, track controls and play/pause options. The Music Crate™ is a complete quality listening system, straight out of the box. With literally thousands of newly-released albums each year, top album lists become, at a minimum, dubious. Instead, here are a few albums (in no particular order) that we find worthy of adding to any vinyl collection. Here’s to 2016 and another great year of fresh music!